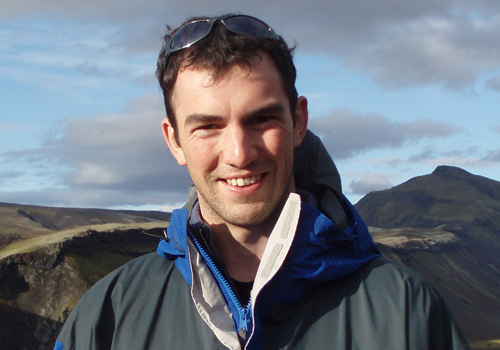 Chris Pearce is a Senior Marine Geoscientist at the National Oceanography Centre (NOC) in Southampton. He obtained his PhD in isotope geochemistry from The Open University in 2007, before holding postdoctoral research fellowships at the Université de Toulouse and back at The Open University. He was awarded an independent research fellowship by the University of Southampton in 2012 then joined the NOC in 2015, where he is currently part of the Marine Geoscience group within the Directorate of Science and Technology. Chris’ research focuses on developing and applying novel geochemical techniques to improve our understanding of how the oceans both respond to, and may cause, global climate change. By investigating changes in the elemental and isotopic composition of seawater and marine sediments his research aims to reconstruct how modern and ancient oceans were affected by environmental perturbations, and the effect that this had on marine systems and global processes. Chris’ projects to date include quantifying variations in ocean oxygenation, characterising the extent of isotopic fractionation during carbonate precipitation and continental weathering, and understanding the impact of particulate dissolution on global marine fluxes, with particular emphasis on constraining the role that basalt weathering plays in modulating both ocean chemistry and climate change. Together with Prof. Rachael James, Chris is leading LC3M investigations into the effects of basalt fertilization on weathering rates and CO2 drawdown in agroecosystems in the US Midwest and Malaysian Borneo. Weathering rates will be quantified through sampling and extensive geochemical and isotopic analyses of weathering products (soils, drainage waters, rivers) and calculated CO2 uptake will be compared to direct field measurements.